Puzzled by why email that appears on your desktop or laptop disappears from your iPhone, iPad, Android? Concerned about long-term storage of your important email? Wonder about the security of your email? Not clear about the difference between Webmail and your desktop, phone and tablet email? In a nutshell, POP downloads email to your desktop or laptop. IMAP is a window to viewing email on the server. POP is best for archiving email. IMAP is best for viewing email on the server from multiple devices, particularly phones and tablets. The desktop or laptop where email is to be archived is set up for POP. 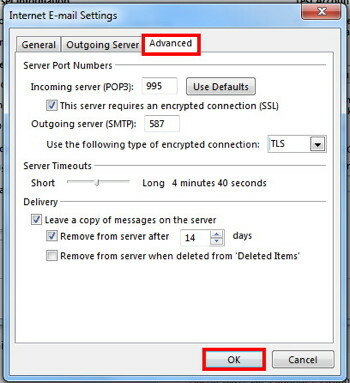 The desktop POP setting allows a copy of mail to be left on the server for a week. If Sally sends you an email, your desktop POP email downloads the email, leaving a copy on the server for a week. A week after the download, your desktop POP deletes the email from the server. 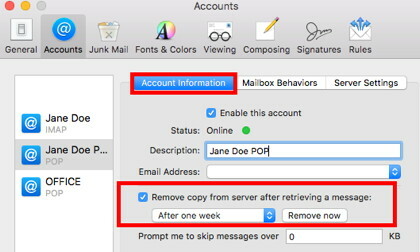 During that week, all your IMAP devices - typically iPhones, iPads, Androids, can see that email, respond to that email, and can delete that email from the server. Once an email is deleted from the server, it is no longer visible to any of your IMAP devices. Above we said leaving email on the server for a week was typical. You can change that setting. Email rules can store POP and IMAP mail into local mailboxes for permanent storage on a desktop or laptop. Especially for POP users, if you receive a lot of email from particular senders, instead of packing your Inbox with that email, consider setting up email rules to automatically store that email in mailboxes specific to each sender on your device. On the Mac that’s done from Mail Preferences/Rules. Outlook also has rules. Windows Mail does not. Email is typically set up so that it’s encrypted between the email server and your email device. Email stored on the server is unencrypted. Should the email server be hacked, that email is visible to the hacker. If you need to send and receive email encrypted end-to-end to particular email addresses, contact OlympusNet support. If your email box on the server fills up, email sent to you will bounce back to the sender.